I love buying fat quarters when I go to quilt shops. I buy a few, bring them home, then wait for inspiration to strike. 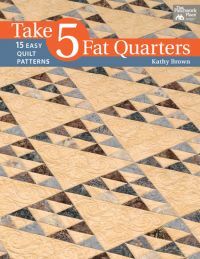 Take 5 Fat Quarters by Kathy Brown by That Patchwork Place, the newest book I got for review, will ensure I continue buying fat quarters for quite a while! 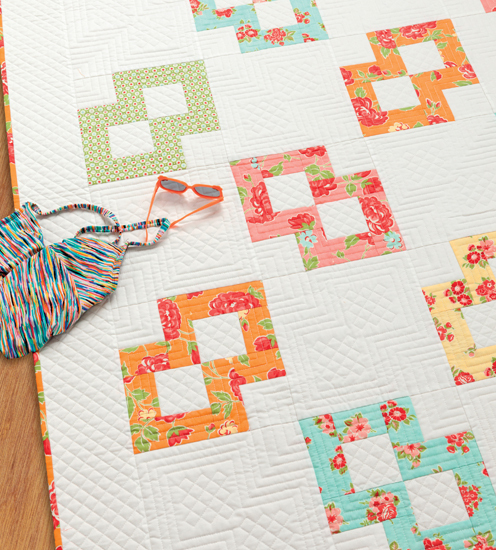 Take 5 Fat Quarters features 15 beautiful and easy to make projects in which we can use our favorite fat quarters - 5 at a time - along with additional background fabric to create quilts of many sizes, from table runners to bed quilts. One of the reasons I really like this book is that every pattern contains a diagram showing you the most efficient way to cut pieces from each (precious!) fat quarter. The patterns lend themselves well to every type of fabric: modern, novelty, civil war... and that is another reason why I like the book so much. As you can see from the photos above, you can create these designs with jelly rolls or yardage, too. 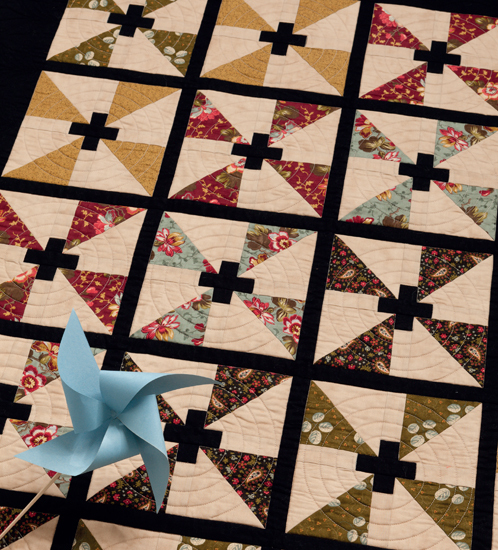 The Quiltmaking Basics section of the book will answer any general questions you may have about putting quilts together, so Kathy Brown's book is perfect for beginners and more accomplished quilters. This book is definitely a great addition to our quilting library. The projects are quick, easy, and fat quarter friendly - the winning trifecta! 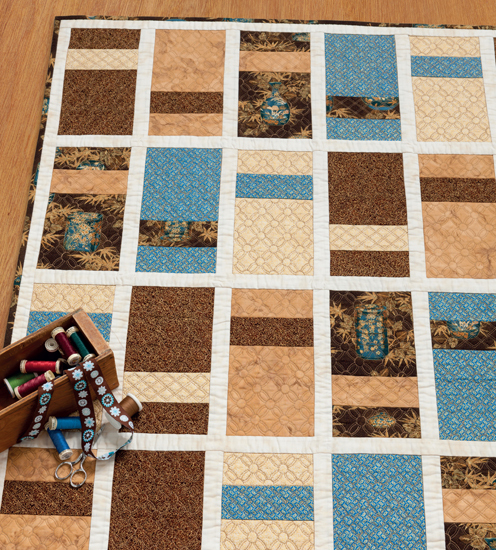 Have fun playing with it.These quilts are fabulous! !